The Washington Wizards picked up another impressive win with John Wall out of the lineup on Thursday night against the Toronto Raptors in Capital One Arena. The Wiz overcame a slow start, particularly from Bradley Beal, to surge past the second-place Raptors for a 122-119 victory. Brad didn’t get in the scoring column until the 5:44 mark of the second quarter when he knocked down a pair of free throws, and he went into halftime with only two points. Coming out of the locker room, The Panda wasted no time heating up for the second half. 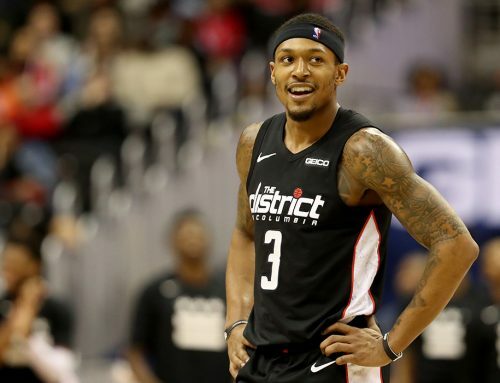 On the first possession of the second half, after a technical free throw that carried over from the end of the first half, Brad drained a 17-footer to start the scoring for the Wizards. From there, BB caught fire and poured in 25 second-half points for a total of 27 on the night to help secure the victory. He also added six assists, six boards and three steals. In the closing seconds, No. 3 made four free throws to put the game on ice and secure the win. 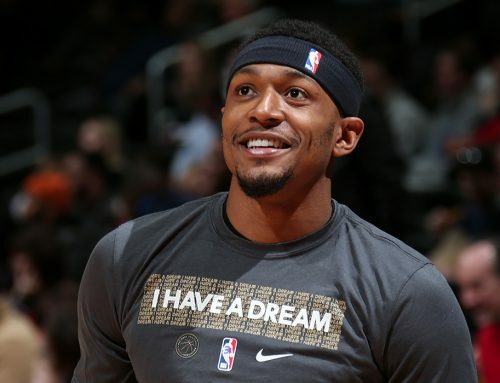 Beal was not alone by any means tonight, however, as eight Wizards scored in double figures for the game. Spreading the ball around has been key for the Wizards with Wall sidelined for the past three games. After the game, BB said he was pleased with his team’s efforts in the last three games. 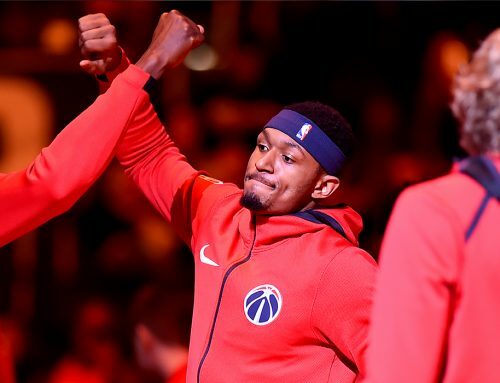 “The last three games are pretty much picture perfect of the type of team we want to be and who we need to be moving forward,” said Beal. In the last three games, the Wizards have racked up 34 more assists than their opponents, and it has led to three consecutive wins. Against Toronto, Washington recorded 30 assists on 44 made field goals. Guys like Otto Porter Jr., Markieff Morris, Mike Scott and Tomas Satoransky have played big minutes for the Wizards since Wall has been out with a knee injury. Their success will keep the Wizards on track for their postseason goals if they can continue to replicate performances like tonight. Washington will be embarking on a three-game road trip, which begins in Orlando on Saturday at 7pm ET. Then they will travel to Indiana and Philadelphia for a pair of matchups with potential Eastern Conference playoff teams on Monday and Tuesday.